Freda's Art Gallery has updated the gallery section. Browse the<a href="http://fredasartgallery.com/gallery/mixed-media/"> Mixed Media</a> and <a href="http://fredasartgallery.com/gallery/fredas-watercolors/">Freda's Watercolors</a> galleries to see Freda's new works of art. 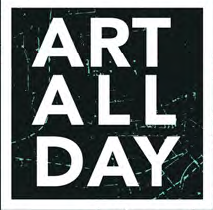 Join Freda in Trenton for <a href="http://artworkstrenton.org/art-all-day/">ART ALL DAY 2016</a>. The event is free, presented by <a href="http://artworkstrenton.org/">Artworks</a> and open to the public.